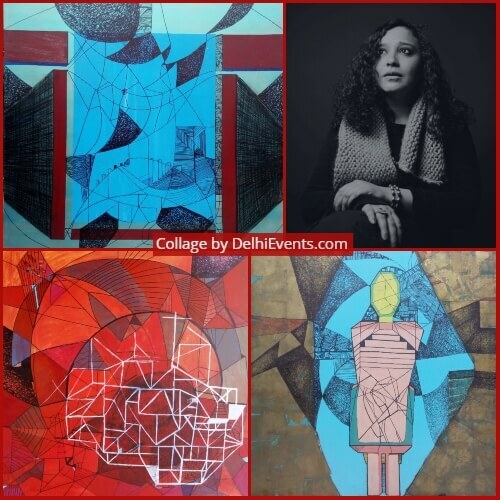 Event Description : ART EXHIBITION "The Erratic Beats of My Heart" First Ever Solo Art Show by Deepa Shad. I craved for permanence and a home to belong. I craved for true love and respect at the same time. My body is gifted with a rhythm. Social constructs and institutions took my natural sense and self. The result was CHAOS. My journey of exploring love from the other was excruciatingly painful, while I stood against the permanence of patriarchy and power abuse. I landed those unpleasant and overwhelming experiences in boxes. Many tight compact stand alone boxes. This show won’t show you the real as you know it and understand from the knowledge of the familiar. This show expresses in many broken pieces (the shards) that were, a permanence in my life for 21years, being constantly wounded by others and myself, breaking and creating my own imagined walls against and for the idea of true love.